WIN a Free iPad Case! 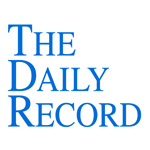 This week's Daily Record column is entitled "Prosecutors turn more to social media evidence." Social media use has been mainstream for years now and for that reason, it is becoming increasingly common for the government to rely on evidence obtained through social media when investigating and prosecuting criminal activity. For example, as I discussed in my column published on July 9, in People v. Harris, 2012 WL 2533640 (N.Y.City Crim.Ct. 2012), a case arising from the Occupy Wall Street protests, the prosecution sought access to data regarding the defendant’s Twitter account. The prosecution subpoenaed information related to Harris’ Twitter account and the court held that because his tweets were public, all content requested pursuant to the subpoena that was more than 180 days old would be turned over to the prosecution. More recently, here in Rochester, the Facebook postings of Megan Merkel, a woman accused of vehicular manslaughter arising from the death of Heather Boyum, made headlines after Merkel posted about the incident on her Facebook page mere hours after Boyum’s death. After the existence of these postings was revealed, the prosecution indicated that it was considering the possibility of seeking access to Merkel’s Facebook account. A similar issue arose earlier this month in U.S. v. Meregildon, 2012 WL 3264501 (SDNY Aug. 10). InMeregildon, the government was investigating its theory that the defendant was involved in illegal gang activity. As part of its investigation, the government sought access to the contents of the defendant’s Facebook account. In its application for a search warrant for that purpose, the government established probable cause by relying on postings made by the defendant to his Facebook page regarding gang-related activity. The government obtained access to that information via a cooperating witness who was also a preexisting Facebook “friend” of the defendant. After the court granted the government’s request, the defendant challenged the judge’s decision on Fourth Amendment grounds alleging that the government’s use of the cooperating witness to access his Facebook postings was unlawful. The court explained that when the defendant shared his posts with his “friends,” he “surrendered his expectation of privacy” just as one who sends an email or a letter relinquishes their privacy upon delivery. Accordingly, the court denied his motion to suppress the evidence seized from his Facebook account. So, the lesson to be learned is that evidence gleaned from social media is fair game in criminal prosecutions. 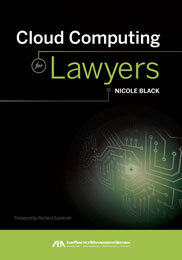 Although there may be issues surrounding the degree of privacy that defendants may have in particular postings, the more public the postings, the more likely it is that the courts will allow governmental access. In other words, post at your peril, since you never know when your words will be used against you.